Marketers are under huge pressure to succeed. But how should we judge a successful brand? And what should brands do to stay successful? Mark Ritson once observed that: “Throughout history, one challenge has done more damage to leading brands than any other: success.” Absolutely. In the wrong hands, brand success quickly breeds complacency. Instead of continuing to accelerate away, some brands call time on pressing home the advantage, and pay a heavy price. 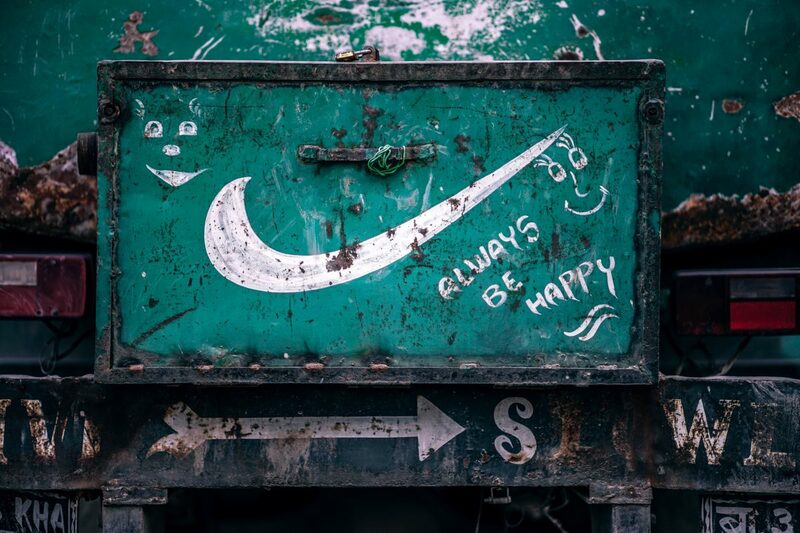 Here are six ways that brands count themselves as successful, together with some thoughts on what they should do if they want to stay that way. Everybody knows your name – for some brands, top of mind = top of market. These brands look at the headlines they’re gathering and the social followings they’ve accumulated and judge themselves to be on the road to riches. In fact, the world seems to once again have fallen in love with brands that everyone knows (but that don’t have a business model). Platform is a much-used word today, and on the face of it, seems like the perfect springboard. But influence and authority are useless if they do not convert to cashflow. And that won’t happen ultimately if the business model is unsure, the audience fickle, and the product can be quickly emulated by others. Your asking price is not even being questioned – the sign of a successful and powerful brand in my view is one that consistently commands a margin beyond what the market naturally assigns. If your brand is highly profitable, that’s one of the most reliable signs of success going. The key thing to watch here is what’s fuelling that margin surplus. Brands that are tapping market supply shortfalls or monopolies to drive up profitability should have a “plan B” based on the time-proven assumption that a rival will arrive to spoil the party and take a share of the bonanza. Brands with strong profit-taking driven by customer loyalty need to make sure they have the imagination and the resources to stay surprising. Because brands that lose interest quickly lose advantage. Your product is romping out the door – in this age of demand-gen, the focus for success can quickly shift to revenue at the expense of profitability. Top-line is beguiling because it always seems to reflect the sentiment of the market and the propensity of consumers for more. But ultimately if your cost-per-sale and cost-per-serve are crippling, no amount of backslapping over conversion rates is going to save your brand. As consumer expectations continue to climb, it’s tempting for CMOs under strong demand pressure to succumb to short term tactics to get them through the quarters. But pay a lot of attention to your end return. Sometimes it’s better to throttle supply or find new, more effective ways to sell or serve, in order to re-set what’s coming back by way of returns. As a brand, you always want to be wanted more – but not too much more (because then that’s frustrating). You are where everyone wants to be seen – every brand wants to be available. But you can be too available, too easy to find. And that will drive down interest (by lowering intrigue) and drive up your inventory costs as sales stall. Every successful brand also wants to be seen in the right places, and for some, particularly start-ups, the prospect of being stocked by a big name retailer can be a real head turner. Almost inevitably though, you’re paying for that privilege on a number of fronts. Truly successful brands look to retain as much control over where they are seen and how they are traded. If presence threatens to cost you control and/or viable margin, you should tread very carefully. You can get plenty of love from being seen in the right places – but that love can also smother you in supply agreement demands that eat out your brand from the inside. Your customers queue for hours – you have customers who are loyal to you, and who buy up whatever you release. You can barely keep up with demand. What could possibly be wrong? Well, it all comes down to who decides these people are loyal. It’s easy for marketers to assign loyalty to a range of seemingly consistent behaviours. But those signals in themselves can be deceptive. Banking on customer loyalty is highly tempting but equally dangerous, because it comes with a bunch of assumptions that foster complacency on the one hand and expectation on the other. The other thing about loyalty is that it can fade or be distracted quicker than ever today. Unlike some, I do believe it exists – to a point – but to nothing like the rates, or anything like the timeframes, that many cite. To get a sense of how vulnerable you are, and therefore how much loyalty leeway you have, look around at companion sectors and ask yourself how contagious their volatility is. Everyone wants to know what you think – once again, influence like awareness is much talked-about today. But you don’t have to look far to see brands and brand owners that captured the ear of the press and were lauded for their business acumen, only to have their businesses disintegrate. When everyone’s asking you questions, are you still prepared to ask yourself the hard questions as a leader? Because without them, your successful brand can fall away as you become distracted by the attention and the praise. The smartest entrepreneurs treat the media well, and above all treat them with respect, but they also understand that their business is theirs, and that when it impinges on the brand’s business in terms of time and attention, it has the potential to be distracting. If you have influence, leverage it morally and well, but don’t allow the knowledge of it to overly-influence your brand. Compete the way you did to become successful. Leaders that compete as though they deserve leadership, and the respect that comes with it, seldom stay leaders. Ultimately, success is a state of mind. It’s determined by those in charge of the business, and it influences not just their confidence levels but also their appetites for investment and risk. The way to stay competitive is to be competitive. The brands that stop to admire how well they are doing, that believe they no longer need to compete because they have made it, or that fail to push forward for fear of losing what they have, are the ones that most risk losing what they have fought so hard to gain. Note: A version of this post has been published elsewhere under the title The Perils of Brand Success. 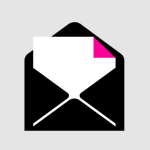 Join my mailing list and let me send you the latest news and updates. I absolutely respect your privacy. Your details are safe. Previous PostIs your brand image too serious? I’m preoccupied with what makes sectors and people tick, and by what happens when market dynamics and human reactions collide. Enter your email address to subscribe to my blog and you'll be among the first to know about my new posts. If you don’t give people valid reasons to pay more, they won’t. Get stuff delivered direct to your inbox.